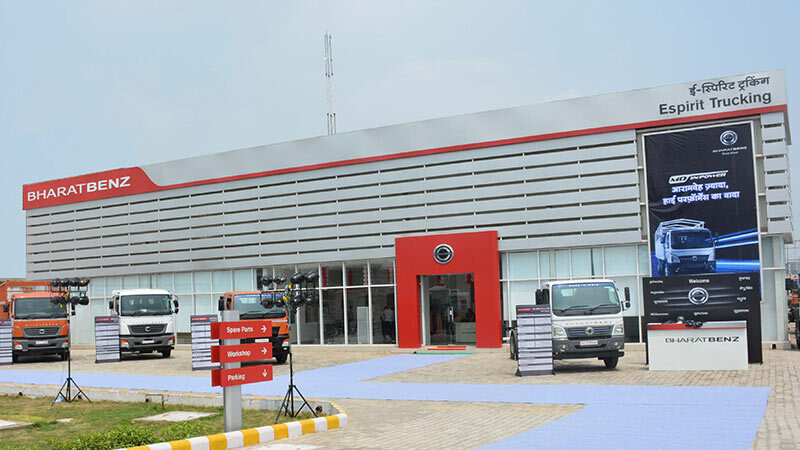 Daimler India Commercial Vehicles (DICV) in association with Espirit Trucking today inaugurated a new state-of-the-art BharatBenz dealership for its commercial vehicle brands in National Capital Region (NCR), Ghaziabad. The latest addition to DICV’s domestic sales and service network will cater to BharatBenz trucks and buses as well as to Mercedes-Benz luxury buses. The opening of this new dealership which is owned and run by Espirit Trucking is an example of how DICV’s dealer network continues to proliferate deeper into domestic market regions including tier II and tier III cities. We want to get even closer to our customers – in line with our continuous growth we are further expanding our sales and service network. Espirit Trucking is an experienced partner who will provide excellent sales and services to our customers from this new venture in Ghaziabad. We are proud to grow together with DICV. Ghaziabad is the perfect location for this new full-fledged commercial vehicle dealership. Our investment here reflects our belief into the enormous growth opportunities for commercial vehicles in one of India’s most vibrant regions, with the BharatBenz and Mercedes-Benz brands giving us the right products to be successful. The motto of Espirit Trucking is to provide a unique trucking experience to its valued customers on both sale and proactive after sale service. Espirit Trucking at Ghaziabad – ‘the gateway of Uttar Pradesh’ – is strategically located on NH58, Morta Village. The dealership spread over 67,000 sqft has been designed to provide a superior experience for customers. It features an avant-garde 3S facility (sales, service, spares) that has seven mechanical bays and three accidental bays with a washing facility. The dealership encompasses a unique driver lounge and rest room which customers/drivers can use while their vehicles are being serviced. The dealership will have trained manpower who understand the diverse needs of the customers. The 24×7 enabled workshop is manned by qualified Daimler trained engineers/technicians and comes equipped with high productivity tools, advanced guided diagnostics and mobile service vans. The dealership will provide a host of value-added services such as cashless zero-depreciation insurance, full maintenance contracts, extended warranty, 24×7 roadside assistance, vehicle tracking systems, driver training, and on-site service.